We’ve been supporting Head Teacher Update for over 15 years now and we always look forward to reading the articles and stories in the HTU. Our advert this month is specifically to remind people to plan ahead, especially if they are considering ordering a new portable staging system in time for their Christmas shows. This is one of our busiest times of year, in fact, last month has been one of our busiest ever, and this month is off to a flying start. 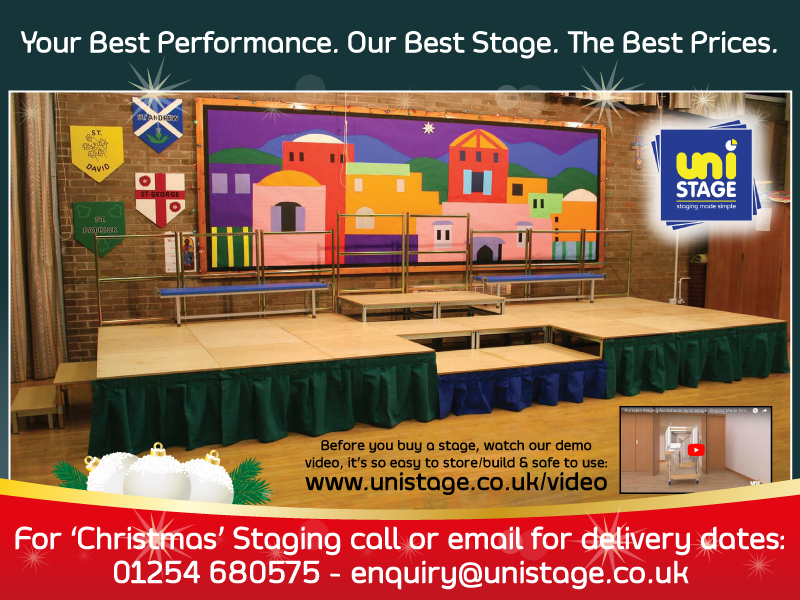 If you are planning a staging project and you would like your new stage delivered in time for your Christmas shows, please contact us as soon as possible to enquire about delivery times and to avoid disappointment. We’re used to ‘pulling out all the stops’ to ensure our customers get their staging in time, but at this busy time, please let us know today if you’re planning a project.